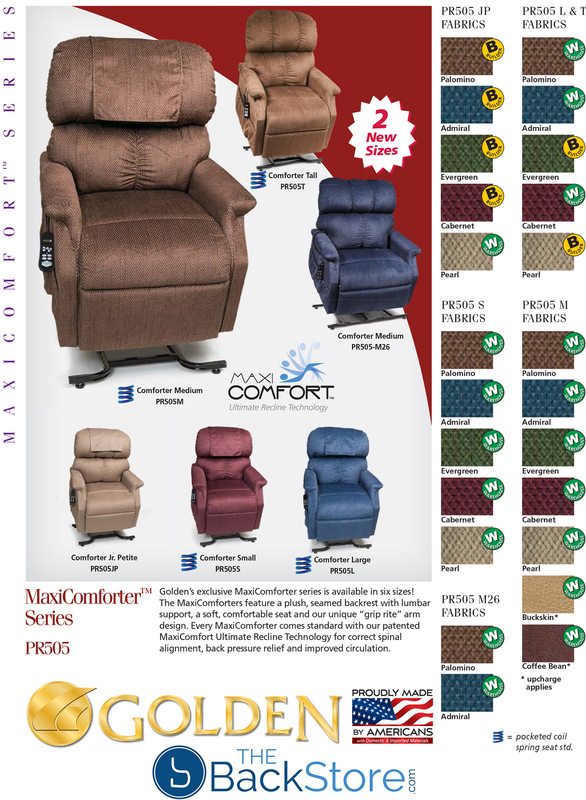 Golden’s exclusive MaxiComfort series is now available in six sizes, including the all-new Tall and Extra Wide! 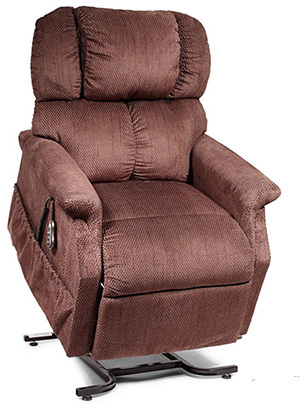 The MaxiComforters feature a plush, seamed backrest with lumbar support, a soft, comfortable seat and our unique “grip rite” arm design. 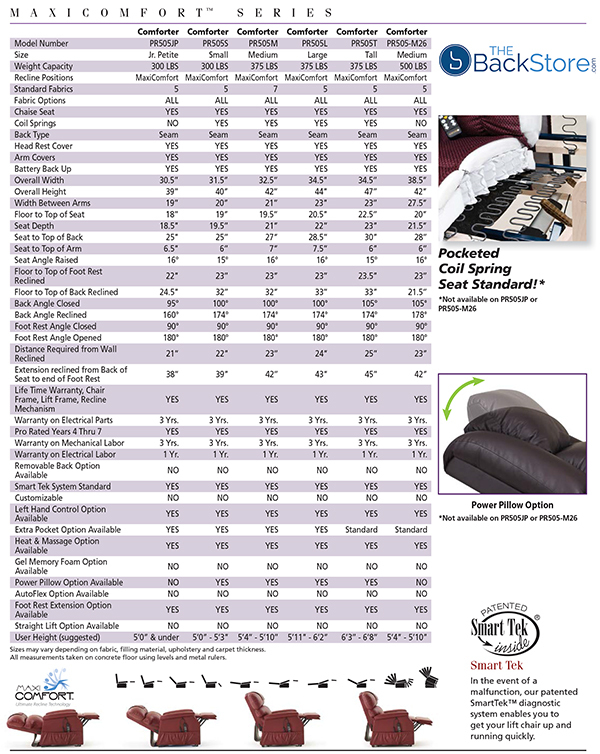 Every MaxiComforter comes standard with our patented MaxiComfort Ultimate Recline Technology for possible spinal alignment, back pressure relief, and improved circulation. 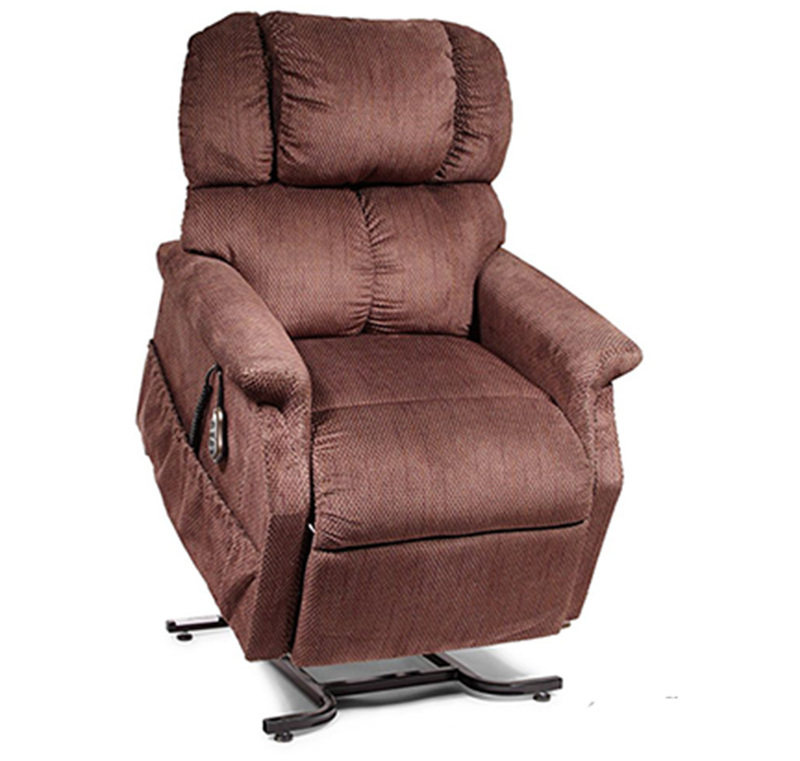 Featuring Patented MaxiComfort recline technology, the world’s only two motor power lift and recline chair with a adjustable active seat option. Fits all users between 4’8" to 6’8"
Select from Fabric or Golden Technologies Brisa Ultra Leather for easy cleaning.